1. 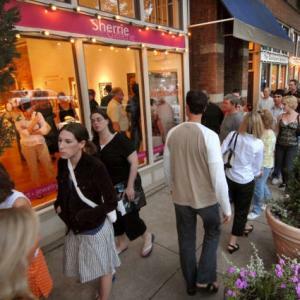 Parking - Gallery Hop is a prime event in one of Columbus&apos; busiest neighborhoods: you&apos;re going to need a parking strategy. The best way to tackle parking is to depend a little more on your own feet. Park in any of the Arena District garages for a low, nightly rate rather than wasting time trying to find a meter in the Short North and keep it fed. The Arena District is a very quick walk to the southern end of the Short North. Alternatively, if you want to start at the north end, there are affordable garages at South campus Gateway at High and 10th. 2. Don&apos;t try to do everything. The Short North runs a full mile down High Street, so you probably won&apos;t get everywhere at an enjoyable pace. 3. Check your options - Check for special gallery openings, artist receptions and other fun events. Boutiques run frequent sales and trunk shows. Even if you don&apos;t plan, you will run into something great. 4. 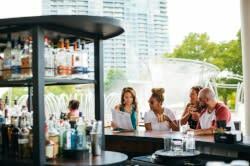 Fortify yourself - One of the best things about the Short North is the variety of great food and drinks. If you have your heart set on dinner at a certain restaurant, make a reservation - at least a couple days in advance. For a change of scenery, forgo dessert at your restaurant and try a new spot - Piece of Cake, Jeni&apos;s Splendid Ice Creams, Le Chocoholique, - there are so many choices for a sweet treat. 5. Stay nearby - The new Hilton Columbus Downtown carries local art in from High Street, through the lobby and into the guest rooms, and it&apos;s perfectly positioned at the southern end of the Short North, and the Hampton Inn and Suites Downtown pairs a great location on High Street with proximity to the North Market, an excellent place for a Sunday breakfast.